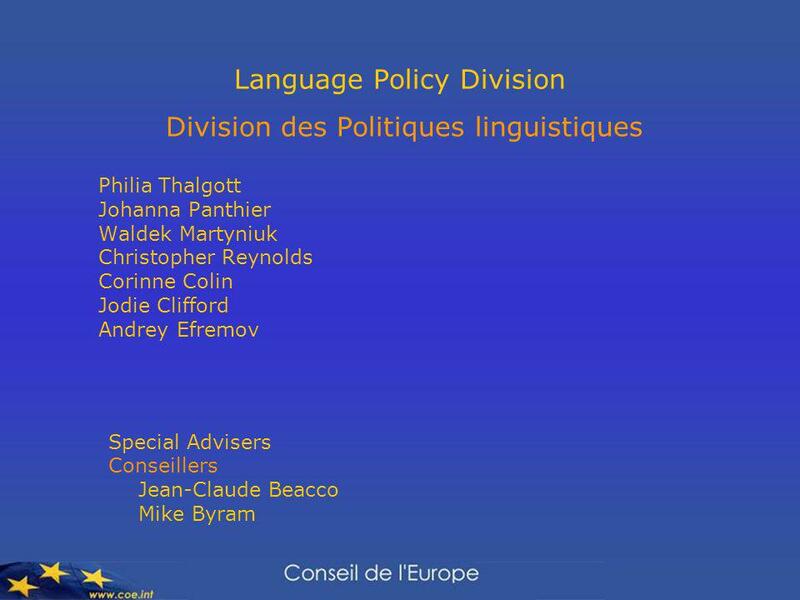 Language Policy Division Division des Politiques linguistiques Philia Thalgott Johanna Panthier Waldek Martyniuk Christopher Reynolds Corinne Colin Jodie. 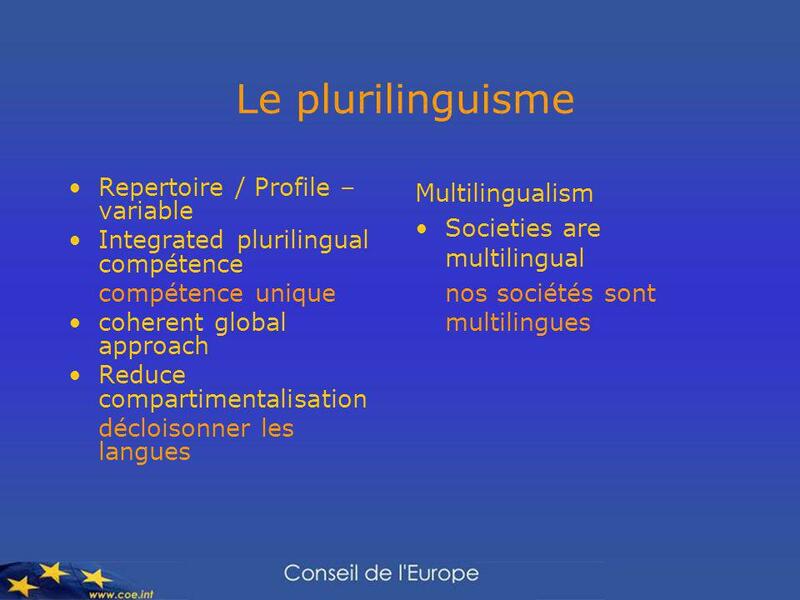 Download ppt "Language Policy Division Division des Politiques linguistiques Philia Thalgott Johanna Panthier Waldek Martyniuk Christopher Reynolds Corinne Colin Jodie." 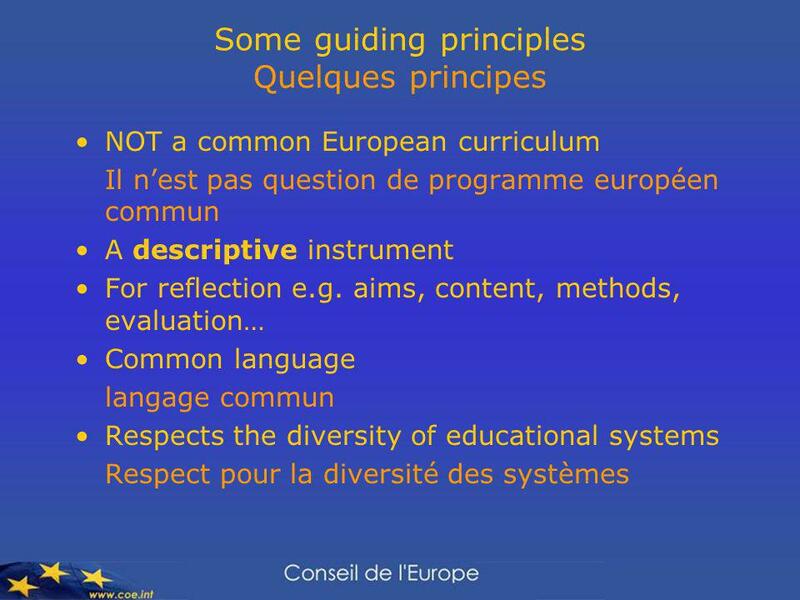 ECML – a Council of Europe centre promoting excellence in language education Waldemar Martyniuk, ECML Executive Director. Imperia, 3 Aprile 2008 Gisella Langé1 Imperia, 3 aprile 2008 Gisella Langé Language Education Policy Profile e lesperienza in Lombardia Ministero della. Colloque Croissance Bleue 25 Novembre 2013 Une contribution au développement des Energies Marines Renouvelables dans les territoires insulaires A contribution. 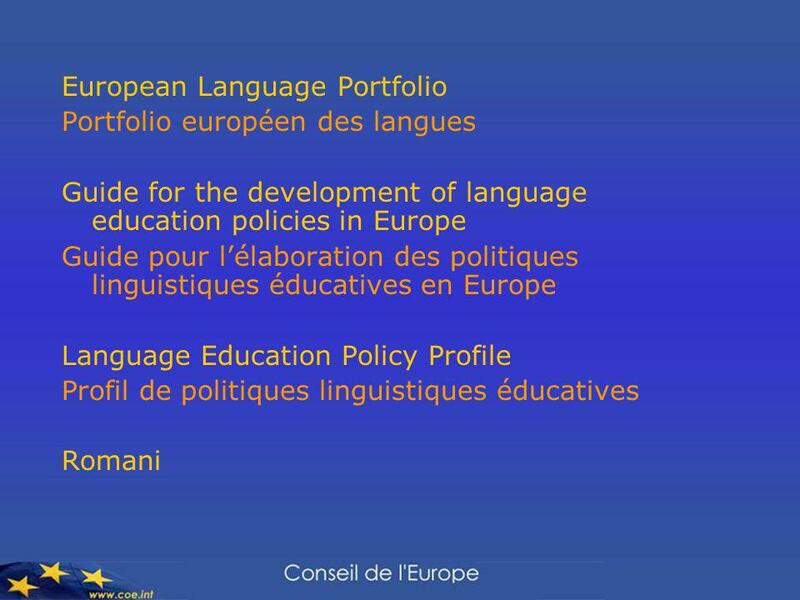 ECML Professional Network Forum Graz, 7 January Johanna Panthier Language Policy Division. Institut des langues officielles et du bilinguisme (ILOB) Professional Network Forum, Graz 2013. 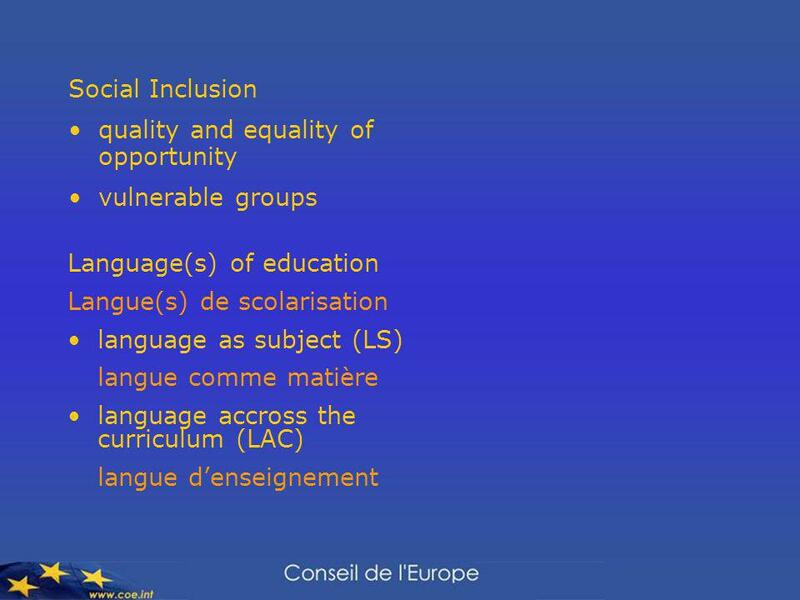 In support of plurilingual people living in multilingual societies: the contribution of the European Centre for Modern Languages (ECML) in Graz Waldemar. 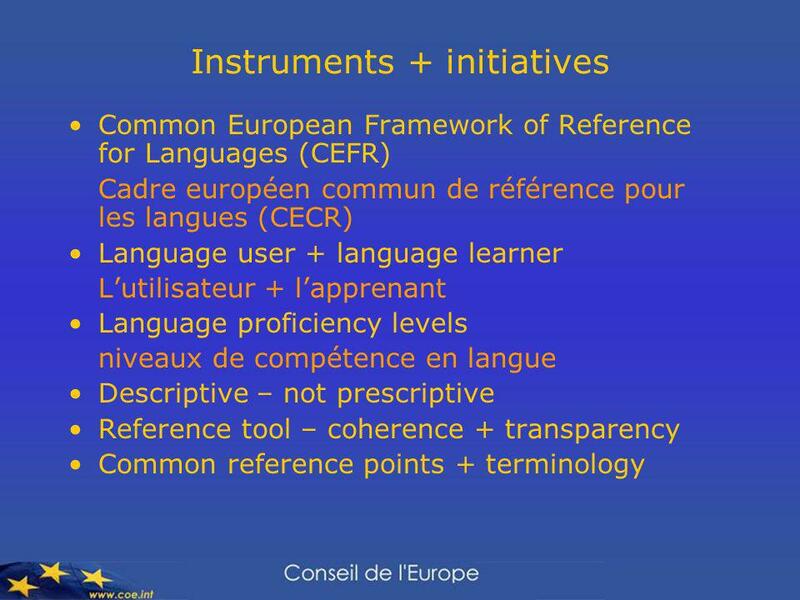 The use of the CEFR at national level in the member states of the Council of Europe Waldek Martyniuk José Noijons Language Policy Forum 2007. 2nd ECML Professional Network Forum - Graz, 6 January nd ECML Professional Network Forum Graz, 6 January 2011 Session One: Update on Network partner.